This is prime territory when on the look-out for the latest in insurance industry trends. If you’re wanting to build your brokerage on future-oriented insights, Agency Radio is just what you’re looking for. Take a listen to their twice-weekly podcast Insurance in Your Words, or subscribe to Agency Nation Sound if you enjoy soundbites that are a little more casual. Both offer insights by industry professionals, but the latter follows a fly-on-the-wall approach that sees you listening in on casual conversations about agency life in an independent agency. This monthly podcast, hosted by Deloitte, keeps you up to speed with the latest global innovations in insurtech — technology that helps keep the insurance industry running efficiently. Suitable for beginners and experts, you’ll hear international guest speakers discuss the latest trends, news and developments that help you stay ahead of the curve in your own brokerage. Covering all aspects of insurance, you’re sure to find insights in this series that are relevant to your own specialisation as well as more general topics. While created for audiences in the US, many of its insights are globally relevant. These easily accessible, highly relevant economic insights will give you the tools you need to spot fluctuations in the closely-related insurance market. Planet Money deals with current international events and analyses the financial impacts they have on consumers. The great thing about this US National Public Radio podcast is that it caters for non-Economists, breaking down key concepts without the jargon. You’ve probably noticed by now that not all of these recommended podcasts are insurance related. As an independent broker, it’s likely you’re responsible for more than just the technical work. You’re also knee-deep in marketing and sales. 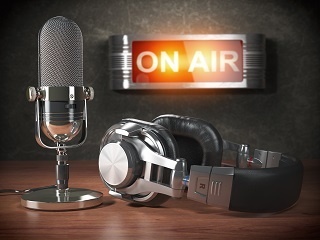 The Hubcast is a series of podcasts by leaders in Inbound Marketing, HubSpot. If you’re wanting to ensure you’re on-trend with the latest in sustainable, efficient marketing and sales strategy, this is one platform and podcast to pay attention to as it keeps you up-to-date on the latest marketing tools. The great thing about podcasts is how easily they can be integrated into an already busy schedule. Make the most of your time on-the-go by switching to a ’cast that updates you while you’re between meetings, in transit or getting that all important morning coffee. Or, if you’ve already have a favourite playlist, there are other great tools for maximising your productivity that don’t ask you to switch stations. DUAL’s WebRater is one of them. This online trading platform allows you to give quotes and renew or bind policies within minutes, 24/7 365 days a year. Learn more about how the WebRater helps you save time, and take your place at the leading edge of insurance backed by Australia’s largest underwriting agency.